Tostenson said there is no event that compares in terms of business to a Canucks playoff run. "The Canucks clearly win hands down on that, we are a hockey town, it's our team." 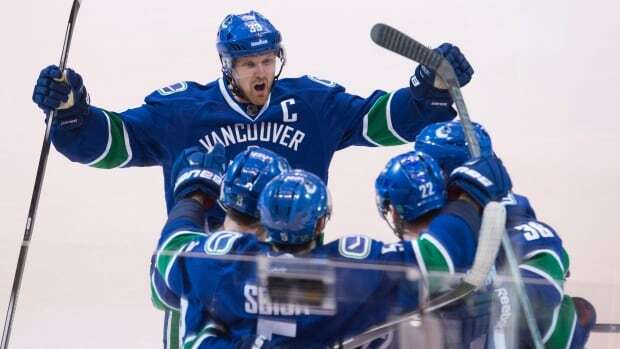 Vancouver has made the playoffs six of the last seven seasons, but this will mark a return to the postseason after the disastrous 2013-14 campaign that saw both coach John Tortorella and general manager Mike Gillis jettisoned. They were replaced, respectively, by Willie Desjardins and Jim Benning. The Canucks still have two regular season home games left before the season concludes, Thursday against the Arizona Coyotes, and Saturday against Edmonton. As to who and when the Canucks will play next week, that remains a mystery, but the possibilities include a first-round matchup against either the Kings or the Calgary Flames.